©2013 39" x 45" Parlor music has been called the music of the American Civil War. Gathering to listen to music served as a venue for family and friends to collectively accept and live with the events that dramatically changed their lives from an atmosphere of gentility to one of grief and pain. Some say the songs also celebrated the political ideals of union and states' rights, and served to commemorate heroes and martyrs, celebrate victory, and mourn losses. 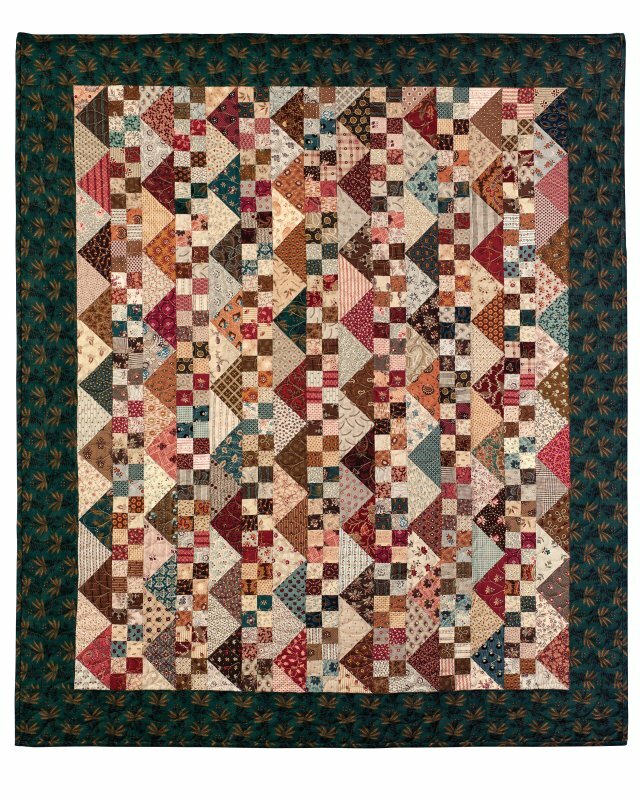 Parlor Music is a scrap quilt composed of alternating strips of four patches and triangles. This simple pattern is an opportunity to showcase your favorite fabrics or to work from your scrap basket.